Toyota Prius Forum : Toyota Prius Forums > Toyota Prius General Discussion > Toyota Prius Engine and Technical Discussion > Bought a rebuilt 2014 Prius. How do I know it’s ok to drive? My SO bought a used prius on craigslist in april 2017. We foolishly did not check the vin, the seller claimed the title status was clean and we naively believed her. Drove only about 4k miles in 2 yrs, and had no problems with it. Airbag lights look fine. Car looks immaculate. But we are moving to the mainland (from hawaii), so trying to sell it on craigslist. But only then did we realize it was a salvaged, auctioned car (yes we are dolts). I tried posting it on craigslist with a rebuilt title but no one is biting because my SO doesnt want to go below $10k and who wants a rebuilt title for that price? Like, no one. So we are considering paying $1k to ship it to the mainland and keep using it there. I need advice. Should i just cut my losses and try to sell it for half what we paid for it (ie, like $5-$6k)? Or should we just pray that the car doesnt give us future problems and pay the $1k to ship it to the mainland so we can keep using it? 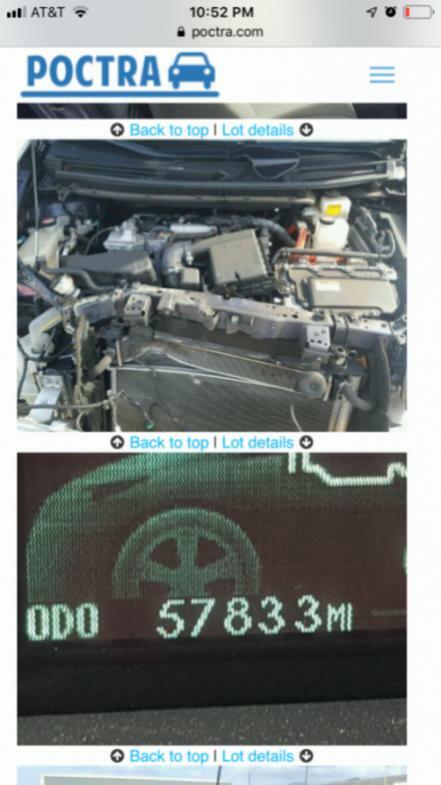 What can we do to find out more about the car’s condition other than taking it in for a service scan of the electronics? I feel like its pretty good since we havent had any issues with it for two years, but we also havent driven it too much. 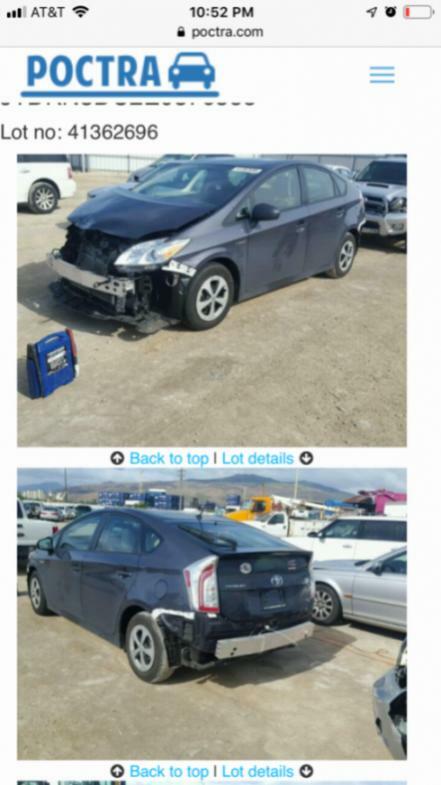 Here are pictures of the damage when it was declared a salvage: https://poctra.com/2014-TOYOTA-PRIUS...OLEI-HI/Photos . I also attached screenshots from that link. Thanks in advance for your advice. We are totally clueless and need all the help we can get. Last edited by Sesh; 03-10-2019 at 04:53 AM. We are totally clueless and need all the help we can get. You pretty much know what the options ARE. Now you just must bite the bullet and PICK ONE. A third option might be the try and sell it to a local used car lot. I know it might come as a shock but the INTERNET is not the only way to do things !! !